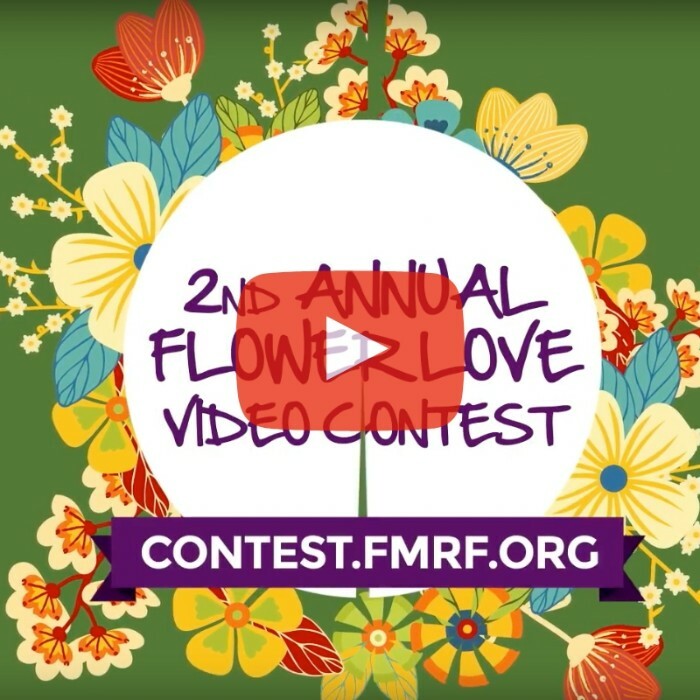 Our new video explains just how easy it is to enter the 2nd Annual Flower Love Video Contest! Click the image above to watch. We are looking for videos of all kinds: testimonials, skits, animation, pets and flowers, giving, receiving, surprise moments, musicals, DIY, or anything else...just as long as it features fresh flowers! Upload your video to the contest webpage (contest.fmrf.org) or on Twitter or Instagram with the hashtag #FlowerLoveVideoContest to enter. Create a 30-60 second video showing the power of flowers...and you could be $4,000 richer! The first annual contest inspired 53 awesome flower videos which are currently being used by the industry (#FlowerMarketingMonday) to promote the happiness and joy flowers bring. Now is your chance to be a part of the second annual #FlowerLoveVideoContest! When I heard that Gregor Lersch was coming to Houston and offering a two day Wedding Design Class at the Houston School of Flowers, I knew it was a class I didn't want to miss! Gregor demonstrated all morning showing us various armatures to create a bouquet in. The 3rd bouquet demonstrated was the one we were going to create ourselves. The armature was made out of a square of Oasis copper floral mesh, #16 wire and pieces of birch branch woven through the copper mesh. We were given a beautiful selection of flowers including pincushion protea, heliconia, orange crush roses, mango calla lilies, ilex berries, spanish moss and kiwi branches. Gregor taught us how to prepare the flowers ready for insertion. He wired and taped all the flowers and wrapped them in moist paper towels, wrapped them in plastic and refrigerated until needed, keeping them well hydrated. Day 2 started with more demonstrations again showing us various different armatures. The first one he described as a ribbon bouquet created out of Oasis copper floral mesh, #16 wire, felt, scrunched bind wire and pink flat cane pieces. The flowers in shades of pink were glued onto the scrunched bind wire and gave the effect of a flower covered ribbon. The 2nd bouquet was created with an oval of #16 wire, handmade chicken wire made out of #20 wire and pieces of midelino sticks woven through our handmade chicken wire structure. As you can imagine, this armature took us quite a while to create and took us well into the afternoon to complete the bouquet. Again we had a lovely selection of flowers to use - white oriental lilies, calla, lilies, phaleonopsis orchids and tillandsia, all wired and taped before inserting in an asymmetrical style. We weren't finished yet! We had one more design to do on day 2. Gregor wanted us to create a table centerpiece out of white mitsumata branches. This arrangement was constructed using floral foam in a cylinder as a base for the branches to be attached to. Flowers were inserted into the foam as well as water tubes which we attached to the branches to create line throughout the entire design. Flowers used were amerina (a hybrid amaryllus and nerine lily cross), scabiosa, calla lilies, hydrangea and spray roses. This class was all and more than I expected and I learned several new techniques to create armatures. We were so fortunate to have an instructor like Gregor visit Houston. Thank you Pat Hermes of the Houston School of Flowers for bringing him here. A memorial tribute has been established by members of the current AFE board honoring August (Gus) De Hertogh, Ph. D., who passed away October 26, 2018, at the age of 83. “Gus’s contributions to the bulb industry will never be forgotten. He guided the work of both students and faculty and shared his knowledge and expertise unselfishly with the floral industry throughout his life,” said AFE’s current Research Coordinator, Terril Nell, Ph. D. Gus was raised in Chicago and began his career in neighboring Michigan, at Michigan State University, in 1965. Here, he worked with Dutch exporters on tackling challenges with flower bulbs. At the time, it was not yet possible to effectively control the flowering of tulips or other bulbs following overseas shipment from The Netherlands, the world's largest producer. They began what is known as the Flower-Bulb Project, a collaborative effort between the Dutch Bulb Exporters Association and the Department of Horticulture at Michigan State University. For the next 35 years, he would continue to research flower bulbs. In 1978, Gus relocated to Raleigh, North Carolina, where he would serve as the chairman of the Department of Horticulture Science at North Carolina State University for the next 10 years. All the while, continuing his research on flower bulbs. Throughout his time in the industry, he published many works including six books, 10 chapters in books, 50 popular articles, 44 refereed research publications, 19 research symposiums and articles, 28 extension publications, plus the additional writing and research he conducted for his master’s and doctorate degrees. This list includes the Holland Bulb Forcers Guide, which is considered the “bible” for bulb producers and forcers. “Serving on the Research Committee of AFE put me in direct contact with Gus. All I can say is we were very lucky to have him. Gus’s wealth of background, both as a researcher himself and as a department head (at NCSU) meant he knew how to do research and how to work with other researchers, and he was able to coach the Research Committee on what to expect from both perspectives,” said Marvin Miller, Ph. D., AFE Trustee and Market Research Manager at Ball Horticultural Company. Throughout his career, Gus received many notable recognitions for his work in the industry. These include Fellow of the American Society for Horticultural Science; Medal of Honor, Ministry of Agriculture and Fisheries, The Netherlands; Floriculture Hall of Fame Award and the Alex Laurie Research and Education Award from the Society of American Florists; the Nicolaas Dames Golden Medal, The Netherlands; the Teaching Award of the American Horticultural Society; the Innovator Award by North Carolina State University; the Gold Pin Award of Dutch Bulb Exporters Association; the Herbert Medal, International Bulb Society, Pasadena, California; and the naming of a hyacinth cultivar in his honor. The bulb industry gave him their highest of honors, the Silver Tulip Award. Those who know him use the word “icon” to describe his impact on the floral industry. Gus is survived by his wife Mary Belle, children Mark, Michelle, Jennifer, Mary Moore, Susan, Jay; Grandchildren Mark, Lori Beth, Drew, Patrick, Aaron, Claire, Addison and great-granddaughter Caroline. The family is always notified of donations and contributions can be made in any amount. Do you have Grand Opening/Anniversary or Great Window Display pictures? We’d like to see them! Teleflora is looking to share a few pictures with their network of member shops! What is the occasion of the picture? What makes it so special to you or your community? Who is in the picture (we like to see faces in the pictures) from left to right, what are the names? Shop Mascot? Sure, send it! To be even more special, is the owner of the shop or employees with the mascot? What’s the story behind the special pet in the shop? Let’s get to know our AFH members! Want great referrals and networking? Get to know your AFH members. When it’s your turn to be interviewed, be creative, be honest, be genuine and tell us all about YOU!! How did you decide to become a florist and caterer? What is your “Why”? Why did you choose your profession? Why do you continue in this direction? "I decided to become a event florist because when I was little I always loved flowers and weddings. I love taking a bucket of flowers and making it into something beautiful. I continue in this directions because flowers are my passion I could not see me doing anything else and being happy." What nonprofit do you support ? Do you serve on a floral industry Board? Or Community Board? "Currently I support the USO. I have not taken the opportunity to serve on a community board or industry." "I am full service wedding and event florist and coordinator. I can create your beautiful bouquets and entice your senses with delightful and tasty treats or a full course meal". What do you want us to know about you? Favorite sports team? Favorite flower? Hobbies? Specialty? "Pittsburgh Steelers are my favorite sports team." "My favorite flower is a tie between Edelweiss and Phalanopsis orchids." "My family means the world to me and I miss them very much." Local AFH Retail Members, Fulshear Floral Design and Flowers of Kingwood hit the streets in their communities on October 24, 2018, with each store handing out flowers to busy commuters to help brighten up their week, as part of the ‘Petal it Forward’ program, in partnership with the Society of American Florists (SAF), of which Fulshear Floral Design and Flowers of Kingwood are members. Fulshear Floral Design and Flowers of Kingwood joined hundreds of florists across the country in Petal It Forward. This random-acts-of-kindness effort is in response to the release of data by SAF showing the positive emotional benefits of flowers. Flowers of Kingwood is owned by Robin Martinez, AAF, TMFA. “Preplanning with the SAF media kit was very helpful. One week before Petal It Forward, we hand delivered a press release and 2 roses to the editors with our local media sources. This brought great results! The Observer, a part of the Houston Chronicle followed our delivery van for several hours taking pictures. The reporter was smiling from the first stop and fully understood the experience. Mark Linabury with LocalMeA caught up with our procession at the Kingwood Emergency Center and did a live video for his website. The Tribune Newspaper has made our story their front page lead this week! Social media was fun as we sent pictures in so that it was a nice feedback and fun interaction." When asked if these 2 busy store owners would participate again? Martinez “You betcha! I’ll be ready again next year!” Berry gave the event 2 thumbs up! Another local Sugar Land florist, but not an AFH Member, Sugar Land House of Blooms also participated with the SAF Initiate. I cannot believe that we are actually having fall weather this year. I hope you are all enjoying the cooler temperatures we have been having. I want to pose a question to you this month in my letter and then give you my opinion. I would love to hear your thoughts at some point, feel free to email me or simply tell me the next time we meet. The question is, when are flowers not just flowers? I have been talking to several people over the past month about this subject and have come up with a few thoughts I would like to share. We are in the flower business, we sell flowers, we deliver flowers, we create with flowers, we…, we, love flowers. Sometimes, however, flowers are much more than what we see with our natural eyes. Sometimes they are more than a vase full of beauty, and even more than that smile they create on the face of the recipient. Flowers are sometimes and encouraging word. We may have a friend that is struggling through something at the moment and we send them flowers, but they do more than we could have imagined. On occasion, they give that person the hope, the joy, the drive they need to continue on and the strength to persevere through this trial. Other times they are a much needed hug. The bouquet arrives at just the right time and when the recipient sees that arrangement, it is like you are personally standing right there with your arms open waiting to give them the hug they need to crawl out of the trap they have fallen into. Most importantly sometimes flowers are life. I was talking to a young lady the other day about flowers and in our conversation she began to cry and when I asked if she was okay, she told me her story about flowers that had saved her life. She was pretty depressed and very much a loner and had honestly gotten to a place in her life that, in her mind, it was not even worth it to live anymore. After a few days of thinking about it, she decided to take her own life. That afternoon as she sat with pills in her hand ready to end it all, there was a knock at the door. She answered and to her surprise, there stood a man with flowers. Flowers from a friend who just “happened” to send them to her that day. She sat down and read the card with tears running down her face and as a result chose to live and get help through her problems instead of ending it all. You see sometimes flowers are more than flowers to people. Sometimes they are the essence of life. Let us never forget that we, while we sell flowers, have much more in our hands than a knife and a stem or two of daisies. Sometimes we hold the key to someone’s future, their hopes, their dreams… their life. I know this goes without saying, but I will anyway. When we design, let’s remember that we should be putting our very best foot forward and letting the love shine through in out style. As always, Keep blooming and go out and make something beautiful today.